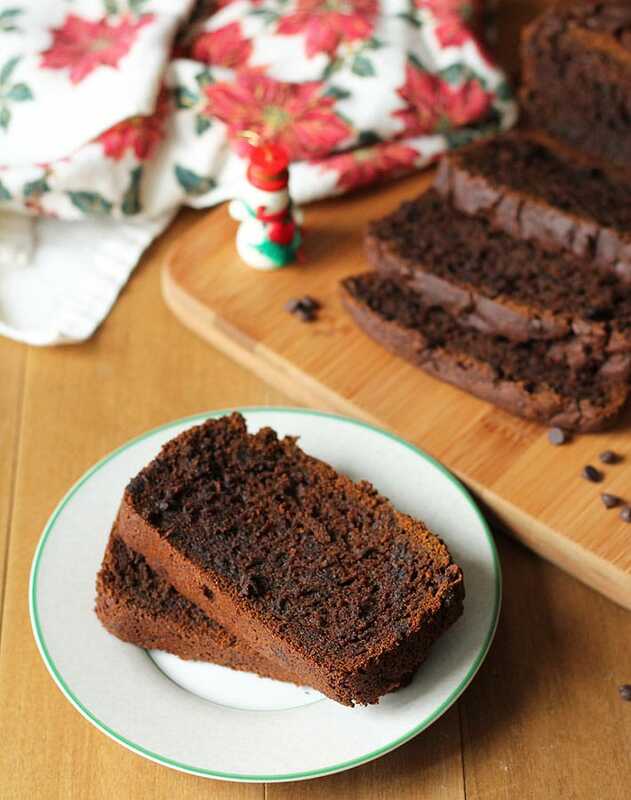 An easy recipe for Vegan Gluten Free Gingerbread Loaf that’s perfectly spiced and will become a favourite recipe to make (and give!) during the holidays. I was scrolling through my Facebook feed a few weeks ago and came across a recipe for this Pumpkin Gingerbread. 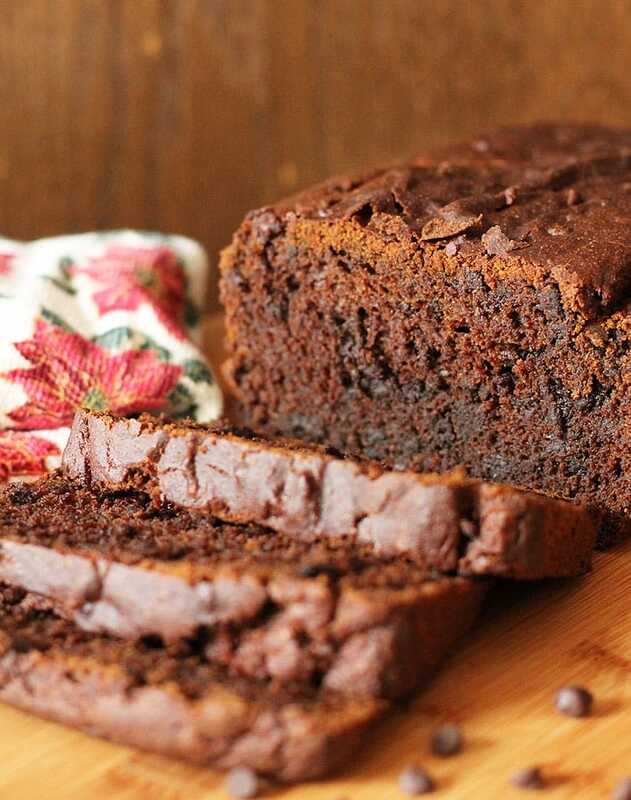 I took a quick glance and thought it sounded interesting and that it would be a good recipe to “re-do” (aka: make 100% plant-based and gluten free so it would be a vegan gluten free gingerbread loaf) and share with you when we’re all transitioning from all of the fall pumpkin recipes to holiday recipes. Pumpkin + gingerbread, what better way could there be to move from fall to the holidays? I wasn’t quite sure if the changes I had in mind would work but I went ahead anyways, I always love a challenge. And guess what? I did it. 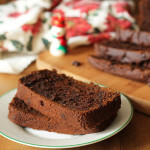 I’m so happy with the result and although it did not turn out to be the transition recipe I had in mind, this vegan gluten free gingerbread loaf is PERFECT to make and serve (or give!) during the holiday season. The original recipe did not contain molasses but I think molasses is essential in any gingerbread recipe. So I added some in which made the loaf darker than the original. I also kept the pumpkin in because it adds a moistness that you would not otherwise get if you were to leave it out. BUT…note that this loaf has no pumpkin flavour whatsoever, it’s simply used as an ingredient to make the loaf tender (and I guess it also adds some nutrition!). And a tip…don’t buy canned pumpkin puree! If you can, make your own large batch in the fall and freeze it so you can use when needed. Here’s a step-by-step on how to make homemade pumpkin puree. 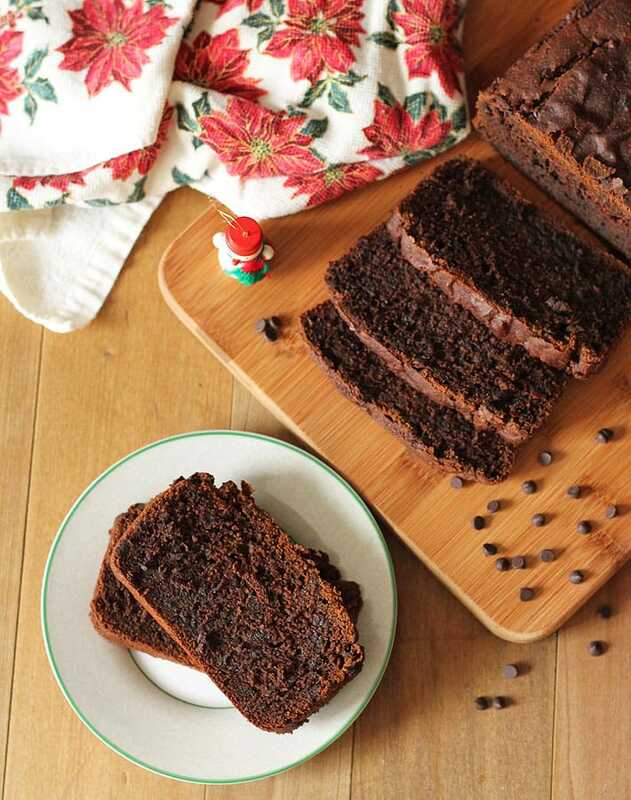 The mini chocolate chips in the loaf are totally optional, it’s up to you if you want to add them or not, but I like adding them because it makes the gingerbread loaf more kid-friendly and because why not? The flavours pair well, so I went for it! If you want even more chocolate, you can also sprinkle a bit on top of the loaf before putting it in the oven. 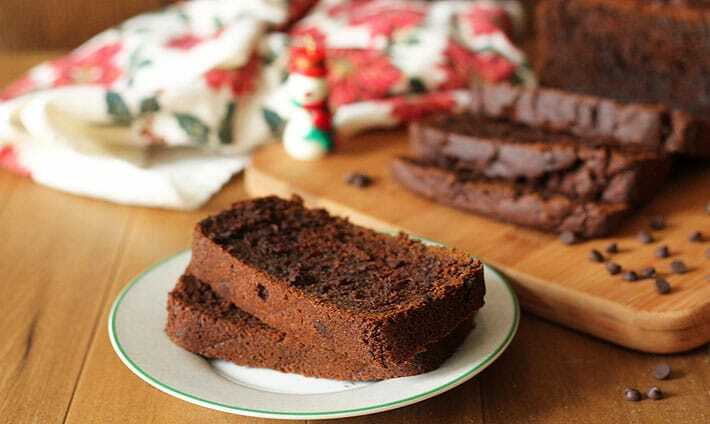 Serve up your vegan gluten free gingerbread loaf with a vegan gingerbread latte or a decadent vegan hot chocolate and curl up under a blanket to watch holiday specials with the family (the way I like to spend evenings during the holidays season!). And if you make it, tell me about it below in the comments or share a pic with me on Instagram! 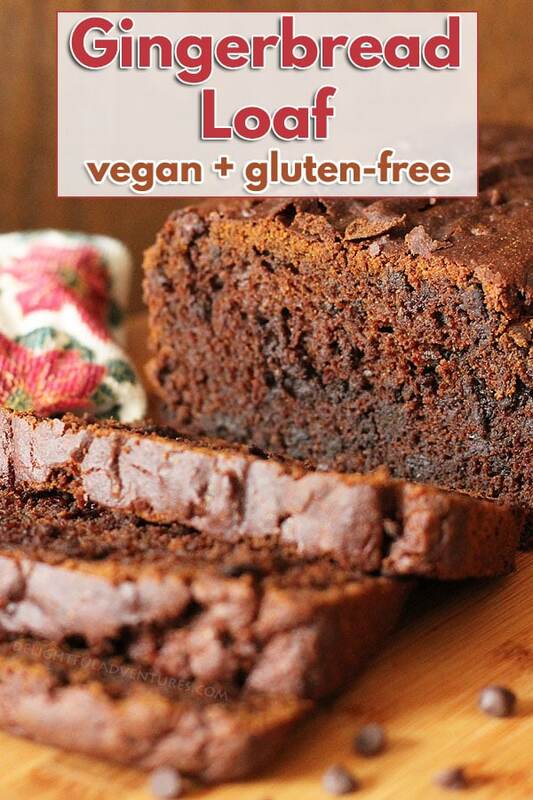 This Vegan Gluten Free Gingerbread Loaf is perfectly spiced & will become a fave during the holidays. 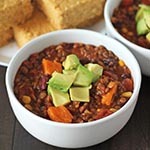 A great recipe to make and give (or enjoy yourself!). In a large bowl, whisk the flour, coconut sugar, baking powder, baking soda, salt, ginger, cinnamon, cloves and all spice together. In a small bowl, mix the melted coconut oil, molasses, pumpkin puree, and flax mixture together. Fold in the mini chocolate chips, if using. Nutrition info listed below is for 1 of 12 slices and for the recipe made as written. Info is only to be used as a rough guide. Click here for more info on how nutrition info on this website is determined. It doesn’t say which Bobs Red Mill flour.. the red or the blue? The link just sends me to Amazon with a list of Bobs Red Mill products. Also, would this recipe work well using mini gingerbread house molds? I know you have a gingerbread muffin recipe, but wanted to try to use this recipe instead. Thanks for sharing the recipe, excited to try it! Do you think I could make this into muffins? If so, how would you suggest I change the bake temp and time? Hi Mae! I have a gingerbread muffin recipe: https://delightfuladventures.com/gingerbread-chocolate-chip-muffins/ Best to use that one instead of converting this recipe 🙂 If you make them, let me know how it goes! Hi Lisa! The recipe calls for canned OR homemade pumpkin, so you are fine! I mention making your own because I have a step-by-step on how to do it. Either homemade or canned can be used. I used a different gluten free flour blend (standard supermarket one) because bobs mills was sold out in Auckland but hopefully the blend will Work! So far smells so good! I made this with eggs instead of the flax seed because i’m dairy free but not vegan, it turned out so good i’m making 4 more loaves today! Yay! So glad it turned out well with your substitution, Skander! Thanks for your note, this will help others who have this question 🙂 Enjoy the loaves! I’m sorry the recipe did not turn out for you. The reason why is the use of coconut flour. Coconut flour is very dense and recipes that use it require a lot more liquid than when using other types of flour. Any time I use coconut flour, I always use blend it with another one, I don’t use it on its own (I have never tried it with this recipe). I do highly recommend the Bob’s Red Mill all purpose gf blend (I link to it in the recipe so readers can see what it looks like and I also make note of the recommendation in the recipe notes). I hope that you are able to try again with the recommended flour, Erika. I am quite certain that you will be happy with the results 🙂 Let me know if you have any questions. Thank you for replying. I will try it again with the Red Mill GF flour, also I had no idea different types of flours needed different amounts of liquid, guess I learned something! Gluten-free baking can be tricky when you are first starting out but stick with it, you will get it! There are certain tips and tricks you pick up along the way. Let me know how it goes next time, Erika! 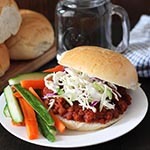 This is an awesome recipe. Made it with regular flour and brown sugar, came out amazing! Just made a second loaf, I will be making this recipe all year long. Yum. Hi there. Well, I’ve been CRAVING gingerbread since October when my kitchen got torn apart and I finally, finally was able to bake Monday for the very first time. As you can imagine everything is completely disordered in there and I couldn’t even find a flour mix so I just threw together some brown rice, white rice, water chestnut and tapioca flours and crossed my fingers. This bread is so delicious and filling I haven’t been able to force myself to eat a proper meal since. So to the question of can I use another flour? Absolutely. OMG AMAZING. 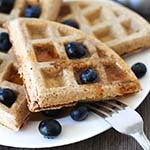 Can I use regular flour instead of gluten free? Hi Nicole!! I can’t guarantee it will turn out because I have never made it with regular flour, but I *think* it may 🙂 The original recipe I based this one off of (see link at the beginning of the post) does use regular flour. I made a lot of changes from that original though…you are a pro though, I think you can make it work. PLEASE come back and tell me how it turns out if you do try!